Imagine you had the ability to see through walls. You’d be able to know instantly if your coat is hanging in the closet, if your dog is behaving poorly in the adjacent room, or if you in fact left your car keys in the ignition after coming home from the grocery store. X-ray vision would allow you to have greater insight into things previously unseen, which would not only make your life easier but also more efficient. 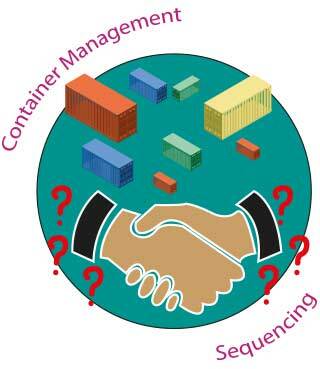 Now, imagine if supply chain planners and managers had the same capability when it comes to container load management and being able to access the right parts in the right container at the right time to ensure planned productions continue as scheduled. Wouldn’t X-ray vision be quite the value proposition for planners in achieving greater visibility about the quantity and condition of parts within any given container, especially given the variant-rich nature and constantly shifting variables and constraints in the automotive supply chain? Think about the last time you packed a suitcase for a trip. You wanted to make the most use of the space. You carefully selected which items would be of most use and then placed them strategically in the suitcase to maximize the space restrictions and include as many items as possible. You had to consider the weight of the suitcase, whether that weight would result in additional surcharges at the airport, and the way in which the items were packed in order of priority to make the most commonly used items easy to fetch. This same concept applies to container load management in the automotive supply chain. 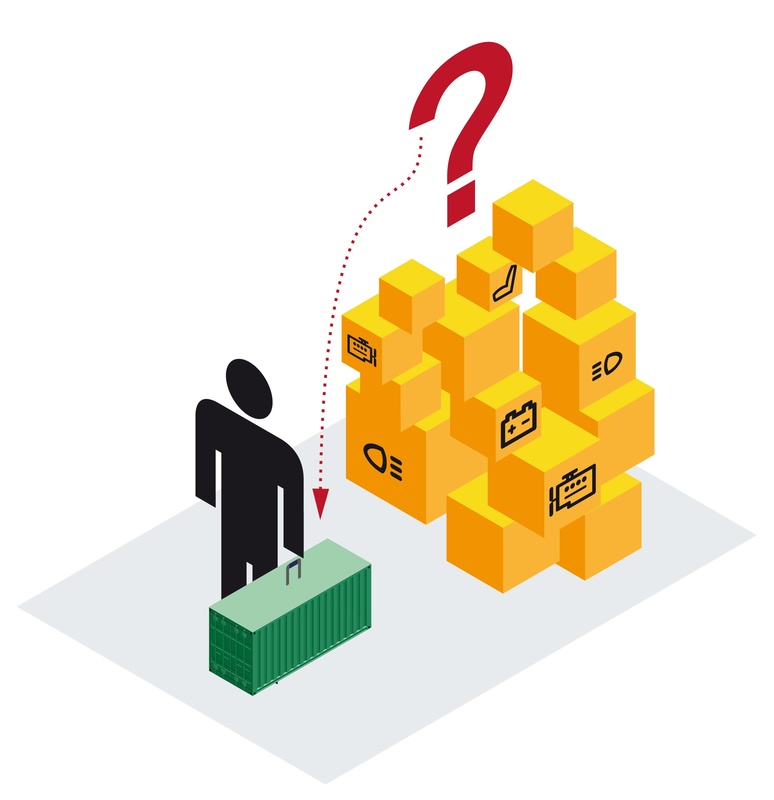 For OEMs to optimize transportation logistics and leverage lean supply principles for greater efficiency and visibility, container load management solutions are a good way to help manufacturers cut through the complexity and uncertainty that comes with global supply and transportation management by providing a more dynamic approach to managing container loads. Much like how you carefully select how to fold your shirts or where to stow a toiletry kit to maximize your packing ability, manufacturers who implement a container load solution will be better equipped to move products in a more cost-effective, productive manner. My son recently received a model airplane kit as a birthday gift. He was so excited to put the model together, he tore into the box, tossed the component parts across his bedroom floor like confetti, and skimmed over the assembly instructions before trying to put the model together. However, he quickly discovered, in large part due to the disarray of the parts, how difficult assembly would be without creating some kind of plan or strategy for sorting the parts into the appropriate groups. He finally came to me for help and we spent a few minutes organizing the parts into small piles by trait or characteristic and where we assumed they’d be sequenced in the overall assembly. It wasn’t long before we developed a smooth, efficient sequence of production aided by knowing which parts were in which piles, their proximity to us, and their overall importance in assembly. Model airplanes aside, it occurred to me our method of sorting parts for optimal efficiency is not unlike the challenges OEMs face with improving their yard container management strategies. What Does Container Management Have to Do With Dinner Parties? 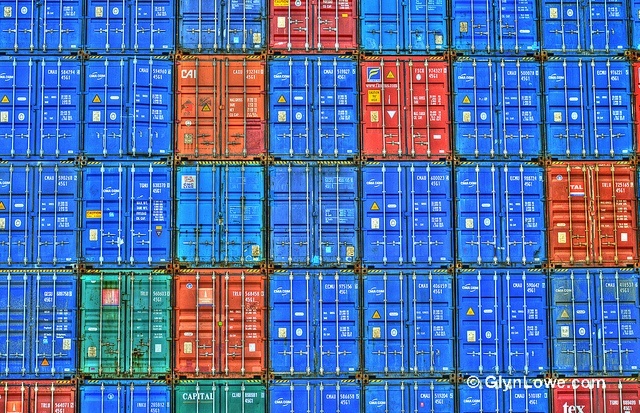 Today we begin part 1 of a two-part series on the complexities and importance of container management. Today's article discusses how container management can create complete flexibility and visibility for planned production programs. You’re throwing a dinner party for six of your dearest friends. You’ve planned a three-course menu, purchased the right amount of ingredients to feed six people, planned enough time to prepare the meal, and set the table with the proper number of place settings. But then you get a call from one of the guests saying they have family in town and they’re bringing two additional diners along to the party. Even though you already had much of the preparation and actual cooking pre-planned, now you have to reassess the amount of food needed to feed everyone, whether you have the ingredients on-hand, and how to best implement additional cooking times and procedures to have the meal on the table at the original specified time. A challenging proposition, right? 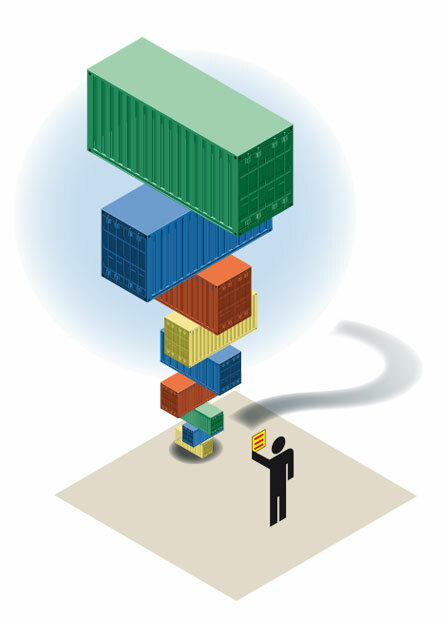 And it’s one faced by OEMs, distributors, and supply chain executives across all points of the value chain: how to best manage container strategy to ensure you have the right parts at the right locations at the right time to fulfill customer orders and administer a lean, efficient demand and supply network.